Item number 08.491.8693 from the Brooklyn Museum. This headdress was worn perpendicularly at the back of the head, not vertically on the crown, as is common with Native American headdresses of very similar style worn by the Yokuts of Central California. In general structure it resembles Pomo headdresses. 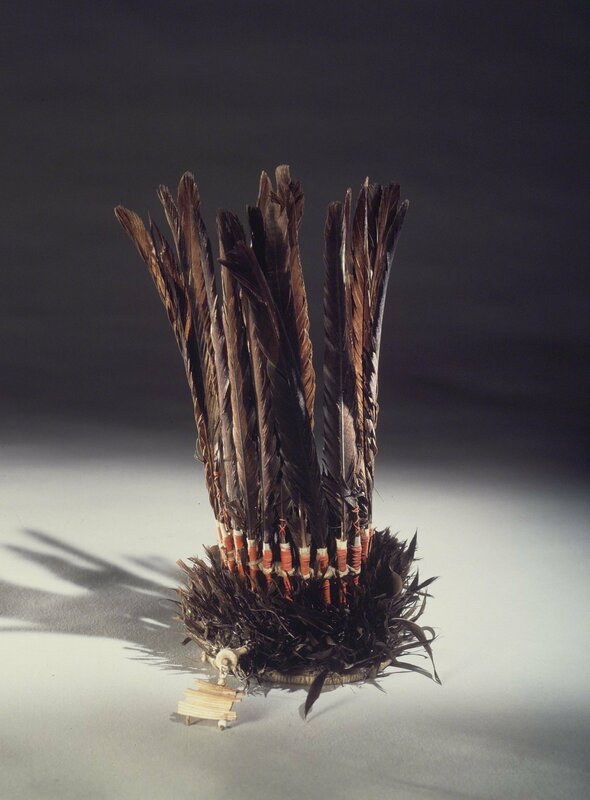 Supplementary files: "Dance headress for a man; brown straight feathers rise out of a ruff of soft feathers. A quill pendant hangs from the front of the ruff. Condition: good."